For eight years, downtown San Jose’s homeless have been kept warm thanks to the One Warm Coat drive organized jointly by Emmanuel and Grace Baptist Churches. Last year they received 1,600 coats, but as of about a week ago they were less than a third of the way toward that goal. Meanwhile, Rev. Miranda’s phone has been ringing off the hook from other groups looking for warm winter coats, hoping that she would have a few to spare. With only a week’s notice, we put the word out through the Jewish Community Relations Council that we wanted to help Rev. Miranda and the downtown homeless. The response was as heart warming as the coats will be–nearly 100 coats appeared within a few days. Thanks to the organizing efforts of Andrea Harris and Dorothy Dorsay, coats of all sizes and shapes were added to the supply that will be handed out to people on Saturday. People at five downtown shelters have been told about the drive, and they will be greeted with hot chocolate when they line up at 8am to receive coats for any family members who need them. 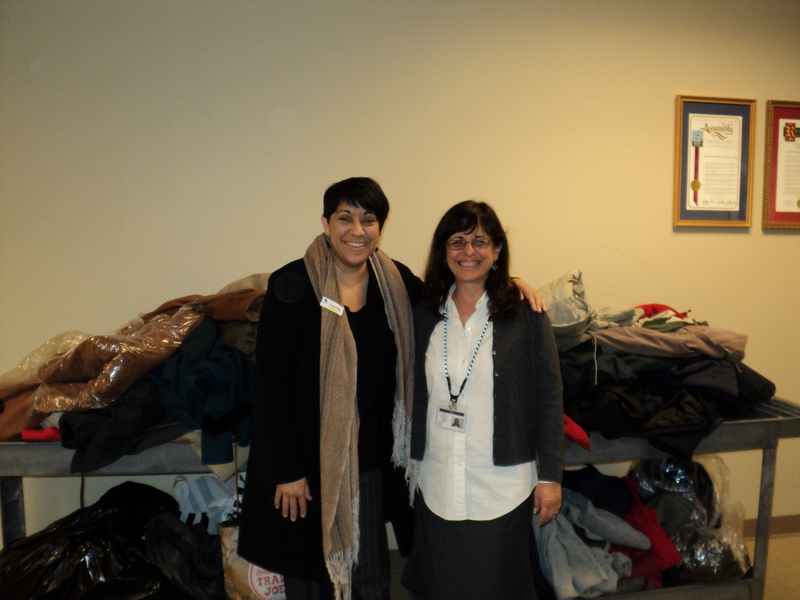 Todah rabah to all the generous coat donors for keeping our community warm this winter.